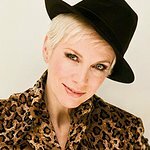 Eurythmics star Annie Lennox has teamed up with Oxfam to launch a celebrity charity store in London’s Selfridges department store. The temporary shop will be stocked with clothing and memorabilia donated by celebrities and staffed by celebrity store assistants, with proceeds going to help fund Oxfam’s women’s projects around the world in countries such as Bangladesh, India and Sri Lanka. The Oxfam Curiosity shop opens for a week-long run from 14 to 20 May, where Lennox will help man the tills, selling goods donated by such celebrities as Elle Macpherson, director Richard Curtis and Colin Firth's wife Livia.